Tonight we will be joined by Imani Brown and Dorian Barnwell from Columbia Prison Divest. The group is working to force Columbia University to divest of its investments into 21st Century slavery and Human Trafficking. Check out their petition on Change.org. 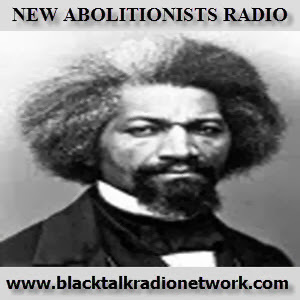 Is it time for a national unified abolitionists platform? Tony, Emmy & Peabody award winning artist and activist Georgia ME joins us tonight in a conversation about freedom from 21st century slavery. Today Max and Scotty called a couple of Indiana groups and pastors to ask for their support for the legislation to change the Indiana constitution and remove the slavery exception clause. South Carolina may or may not have ratified the 13th Amendment, which would have not abolished slavery anyway. Colorado and the DOJ are involved in private prison arrangement. The GEO Group announced acquiring more beds (slaves) today. Exonerations from wrongful convictions reach a 25 year high according to a report. 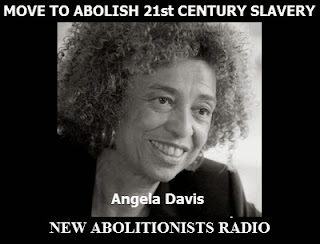 Our profile in abolitionism is Angela Yvonne Davis (January 26, 1944 - present).